Joey has been a PGA Professional since 1994. He has been in the Topeka area since 1980. Joey is a graduate of Washburn Rural High School & Washburn University and has been teaching golf in the community for 27 years. Joey and his wife, Tami, have 2 children, Tyler and Taylor. 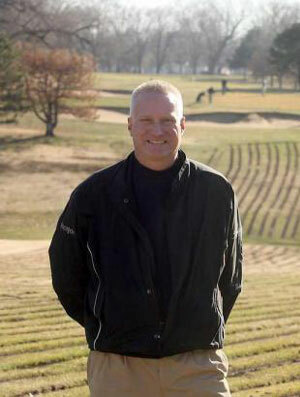 He started in the golf business in 1985 at Cedar Crest Country Club, now Western Hills. He then moved on to Colly Creek, now Berkshire, for 3 years from 1991-1993. After a 3 year stent at Manhattan Country Club, he moved back to Topeka in 1996 and has been at Shawnee Country Club ever since. Schedule a time with Joey at Shawnee Country Club or GreatLife North in Topeka online by completing the form below. If you want to setup an appointment at any other GreatLife Topeka location, contact Joey by phone at (785) 554-2825 or by email joey.martinak@greatlifegolf.com. Ronnie has lived in Topeka most of his life graduating from Shawnee Heights High School. 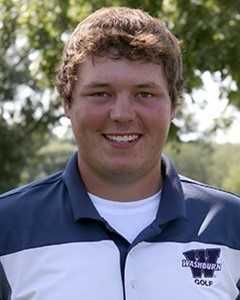 After High School he went on to play golf at Washburn University and while there he also graduated with a Business degree in Marketing and Management. After College Ronnie moved to Dodge City Kansas to take over as the Golf Professional at Dodge City Country Club. While in Dodge City he moved up to be the General Manager and Golf Pro at the Club. He is very excited to get back in his hometown and work with the GreatLife team at improving the business everyday.